Hydreight is a Las Vegas, Nevada solution to dehydration. The company recently announced that they are providing mobile intravenous (IV) hydration therapy to those who live in the Las Vegas area who may be dehydrated due to long days in the sun, nights of drinking or other issues. Shane Madden is a spokesperson for the company. He says, "This is your chance to rid yourself of dehydration in the easiest way possible. Mobile IV services are ideal for those who are visiting Las Vegas and maybe spending too much time out partying or even those who suffer from migraines." Madden says that the Mobile IV Las Vegas company provides intravenous hydration therapy that can refresh people after strenuous activities. IV therapy can help patients recover from flu symptoms much faster than through traditional methods. In addition, it can help to flush out toxins from the body and give muscles the needed hydration to take away aches and pains. Madden says that IV hydration is a good treatment for those who suffer from debilitating migraines or even those who may suffer from chronic fatigue syndrome or fibromyalgia. IV hydration is also a proven way to help those who have had too much to drink to combat the symptoms of a hangover and in some cases, could help to push alcohol through the system and help the drinker to sober up much more quickly than through any other method. 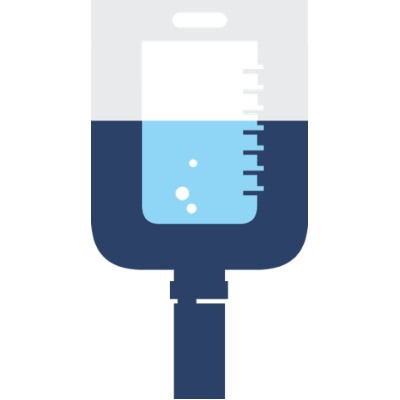 "Our IV therapy is great for any number of hydration concerns," says Madden. "If you are in need of some extra fluids, Hydreight is available and we're mobile so that means that we will come to you wherever you are." Madden says that the company will travel to a customer's hotel room, office, house or anywhere in Sin City for IV hydration therapy. He says that customers simply have to call their office and someone will be on their way quickly to provide the needed hydration. They operate throughout the city and at all hours of the day and night to help those in need. In addition, Hydreight provides a mobile app that can be downloaded on their official website or from the Apple store or Google Play store. The mobile app allows customers to see any IV specialists that may be located in their local area and will tell customers how far away those specialists are in real time. Madden states that all of their IV therapy specialists are highly skilled professionals and that they can be contacted around the clock for therapy. Each staff member is a fully licensed healthcare professional. Madden also states that the company takes all major credit cards as well as cash for payments and says that they are upgrading to soon be able to also take Apple and Android Pay to make services more convenient for their customers. The company states that the IV drips can also be used as a preventative measure to ward off dehydration. Madden says that they are highly effective in helping to ward off winter colds and flu and says that each customer who receives the therapy has stated that they felt much better, and full of energy and vibrant after undergoing the vitamin-infused IV therapy. The company states that those who are visiting Las Vegas, Nevada, particularly for the first time, may find the heat a bit overwhelming, especially during the hotter summer months. Madden says that it is not at all uncommon for customers to become dehydrated simply because they are not used to spending hours in the draining heat and forget to hydrate themselves. When the heat is combined with drinking, which is a popular pastime in Las Vegas, visitors to the city can become dehydrated quite quickly. He states that their mobile IV services take very little time as opposed to visiting a hospital emergency room and that they provide basically the same services. Madden says that visiting an emergency room can be very expensive, particularly for those who do not have insurance. He states that their services are more affordable with regards to IV therapy and because they are mobile, they are much more convenient, as well. The company states that any visitor to Las Vegas who is not accustomed to the dehydrating atmosphere or who may have drunk too much or otherwise begun to feel unwell can contact the company and they will travel to any hotel in the city to provide the treatment. Those who are interested can learn more by visiting the company on their official website. The company states that they are also looking for partners to join their team. Information about working with Hydreight is also available on the company website.